The School of Environment and Science on Griffith University's Brisbane (Nathan) campus offers distinctive undergraduate degrees covering the practice of biomolecular and biomedical science and medical diagnostics. It also offers specialist postgraduate studies and research opportunities across a wide range of medical research fields. The School of Natural Sciences has long been recognised as having some of Griffith's best teachers and innovative programs to ensure students reach their potential. 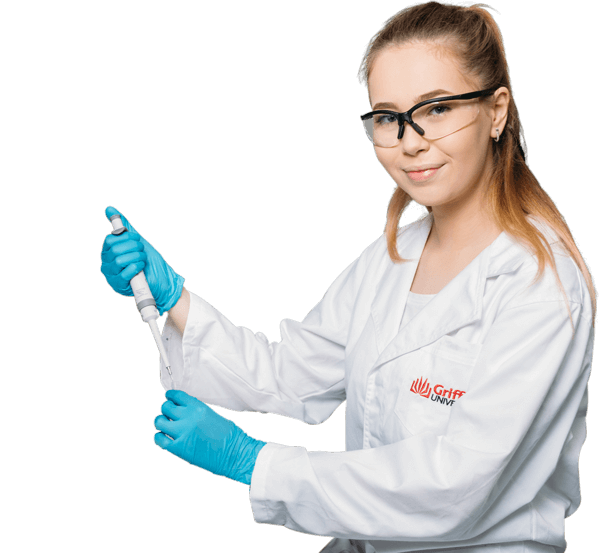 Griffith University has a proud history in the biomedical sciences, with Australia’s first Bachelor of Biomedical Science offered at Brisbane's Nathan campus in 1991 as a specialist pre-medical degree. Based on more than two decades of expertise in designing programs and teaching in the biomedical sciences, our flexible suite of degrees provide you with choice and proven pathways to graduate medicine, biomedical research, the allied health professions and a wide range of other careers including medical diagnostics. As a student you will enjoy access to state of the art teaching and research facilities. Typical of these are the new $150 million purpose-built Griffith Health Centre, co-located with the new Gold Coast Hospital and the Eskitis Institute for Cell and Molecular Therapies at the Nathan campus. Access to such facilities provides you with opportunities to participate in research, projects and professional development activities in world class environments and will provide pathways to employment upon graduation. You will also have access to teachers and researchers who are recognised nationally and internationally as leaders in their field who are approachable, enthusiastic educators. You will enjoy a personalised approach to learning with the emphasis on developing the knowledge and skills for academic and professional success. You will also enjoy access to peer mentoring programs and student and staff social networks making you feel a member of the Griffith biomedical community.